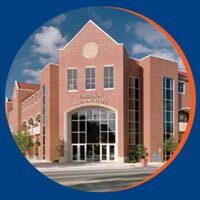 The University of Florida license plate is the best-selling specialty tag in the state of Florida. An estimated 96,000 plates are sold or renewed each year, generating millions for the University. When purchasing or renewing your UF License Plate, be sure to "opt-in" to share personal information. If you don't "opt-in," we have no way of knowing who purchases or renews their UF tag.